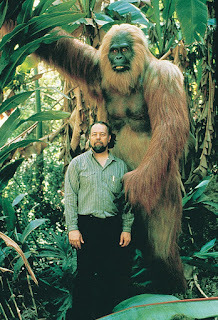 Home / Giant Animals / Giants / Ice Age / monsters / Red-Hair Giants / We can have a 6-meter Sloth but a 10-foot man is a hoax? We can have a 6-meter Sloth but a 10-foot man is a hoax? Before we get too ahead of ourselves, you may be wondering exactly what we’re talking about. Well, who doesn’t like to get acquainted with the monsters of old that once roamed our planet? So, here we go – 4 Giant Mammals of the Americas that you probably never heard of. PS: These giant mammals came about millions of years after the giant "Terror Birds" of South America. To clarify, I’m not calling these animals giant for no reason. The Megatharium is one of the largest mammals to ever roam our planet, measuring over 6 meters from head to tail, and weighing up to 4 tons! This is where Ice Age got it wrong – Sid should have been as big as Manny. The Megatherium, which literally means ‘Giant Beast,’ was roughly the size of a modern day elephant. Similar to present-day sloths, the Megatherium had massive claws, so large that they had to walk only on the sides of their feet. 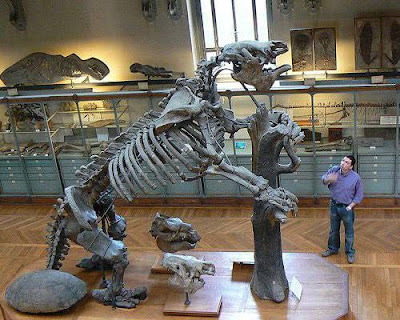 Most scientists believe the Megatherium was herbivorous, using its claws to strip bark, leaves, or branches from trees. However, the surprisingly short ‘elbow bone’ of the Megatherium is a sign of a carnivore. 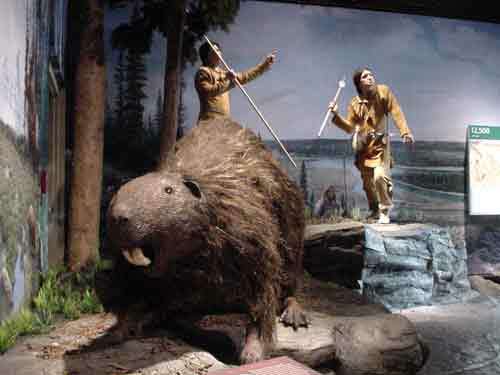 These enormous rodents were the largest beavers to ever exist, growing as large as 2.2 meters and weighing over 100 kilograms. Sharing the tell-tale trait of modern beavers, the Catoroides of old boasted massive incisors of 15 centimeters in length. Studies show that the prehistoric Castoroides was likely as aquatic as their modern, miniature counterparts, and could stay underwater for extended periods of time. We don’t know if they would build dams. If the Megatherium’s giant claws and the Castoroide’s giant teeth weren’t enough, this giant mammal is coated in armor. The Glyptodon stood about 1.5 meters in height, 3.3 meters in length, and weighed about 2 tons – this is roughly the same size and weight as a Volkswagen Beetle. These enormous armored creatures co-existed with humans for about 4,000 years. They were likely driven to extinction from being hunted for their shells. Like the other creatures on this list, the Josephoartigasia Mones is the largest rodent to every have gnawed through our great green earth. Compared to the giant beaver we discussed earlier, this giant rodent’s incisors measure twice the length at 30 horrific centimeters. This megarodent measured 3 meters in length and could likely use its size to fend of sabre-toothed cats and massive flightless birds. By comparing the size of the creature with other rodent species, scientists estimate that the Josephoartigasia Mones would have weighed about 900 kg. 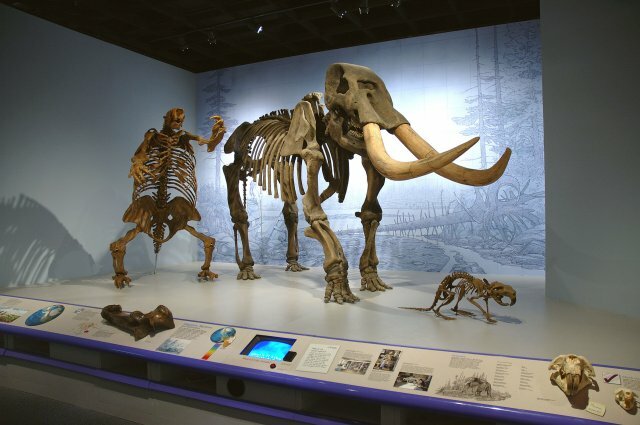 Why exactly should we care about these Giant Ice Age Mammals? Many modern day animals seem to have been preceded by some sort of outrageously large ancestor. From Megaladon to Titanoboa to Haast’s Eagle (or any of the strange beings mentioned above,) each has been survived by a miniature version of itself. The ancient ancestors we discussed earlier range anywhere from 3 times to 600 times the size of their modern-day counterparts. With that in mind, is it that hard to believe that we too have a species of enormous ancestor? 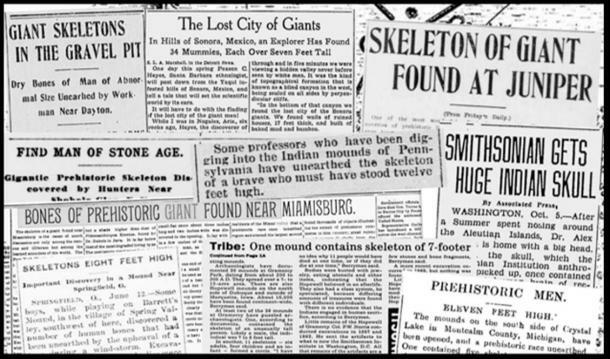 Hundreds, if not thousands of giant human skeletons have been unearthed across the globe. Yet, this is a subject that remains mysteriously mysterious—for lack of a better adverb-adjective combination. 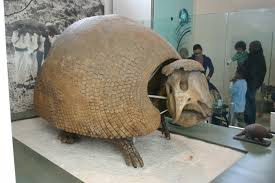 Why must we be so fast to dismiss a giant human as myth, when there once roamed an armadillo as big as a car. Why is a 10-foot man so far fetched that it must be a hoax, when we have real-life sloths the size of an elephant? 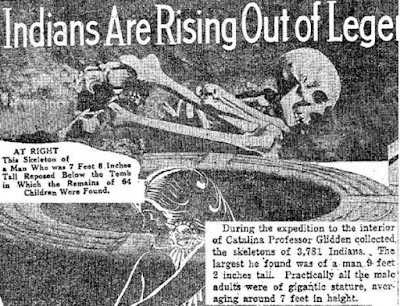 The stories of a race of “red-haired giants” seem to emerge mainly from the Americas. And hey, why not? 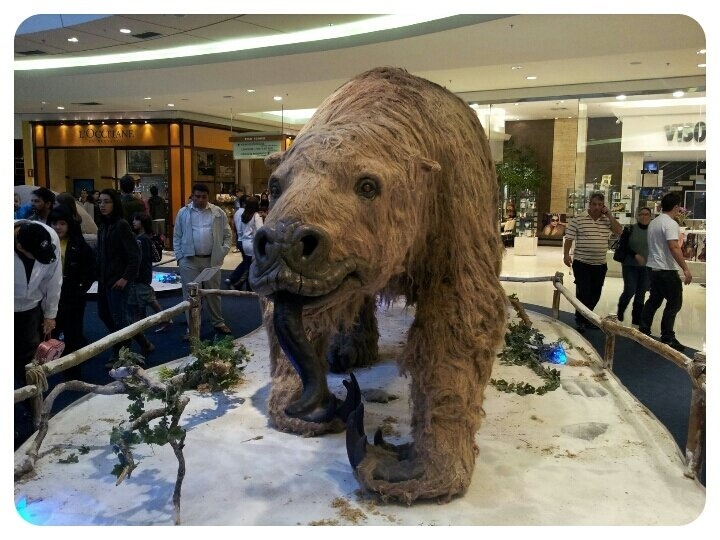 That’s where the giant sloth and the giant beaver lived as well. Countless burial sites have been discovered across the Americas with skeletons that stand 7 – 9 feet tall. While that may not be a huge difference when compared to the average modern human, the real question is why are we refusing to admit they existed? A last and somewhat strange point is the case of the Gigantopithicus – an extinct species of giant ape that once lived alongside humans. These “apes” stood 10 feet tall and were the largest known apes to have lived. They are believed to have been bipedal. In the photo, you will see a reconstruction of the Gigantopithicus. You can search as much as you like, and you will never see a reconstruction of the Gigantopithicus skeleton. Likely because it would look far too suspiciously like a giant man instead. Although Gigantopithicus was first thought to be closely related to humans, they are now placed in the same sub-family as the orangutan. You make good points here. 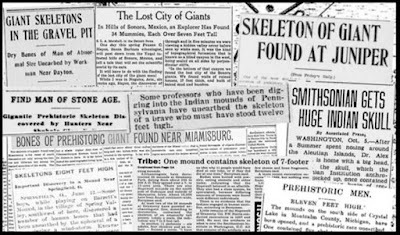 I have often wondered why there is the massive resistance to the idea of giant human ancestors, despite so much evidence of them having been found. Similarly, it is strange that the hominin species with elongated skulls are also ignored, despite thousands of skeletons of them having been found around the world(and I'm not talking about the human skulls that were "bound" to elongate them). I agree! I can't seem to think of any good reason why the giant humans have to be a big secret, unless there's much more to it than even we have thought of -- including the Paracas skulls.